After months of hard work and perseverance, The Bible Quiz culminated on Yom Haatzmaut at the finale in Israel. Out of 79 students from 41 countries involved in the initial round, 16 of those students went to the finals in Israel. 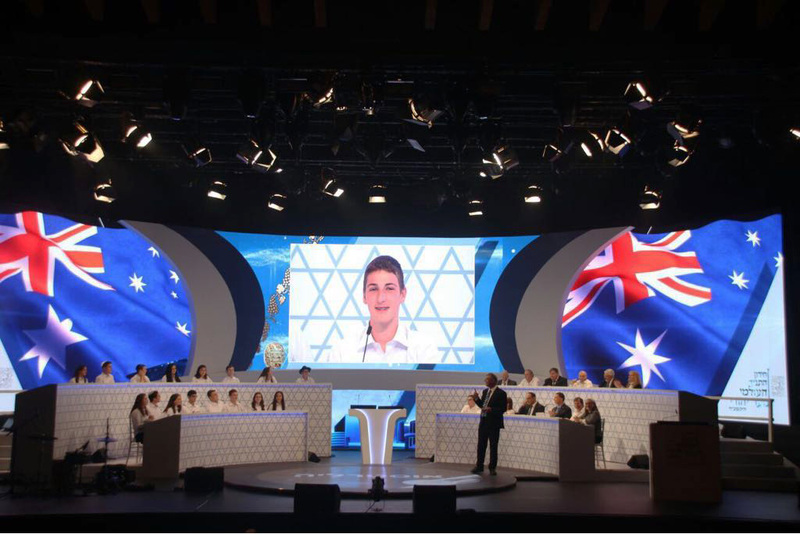 Both of the Australian representatives came from Kesser Torah College; Yehuda Eisenberg and Chaim Ber Herschowitz were flown to Israel to compete in the finals. This round was shown on live Israeli national television with many dignitaries, including the Israeli Prime Minister; Bibi Netanyahu, present. During the first of the final rounds, both Chaim Ber and Yehuda recieved their full 10 marks, with Yehuda making it to the next round of 8 finalists. Both boys performed exceptionally well and we are so proud of them and their achievements.